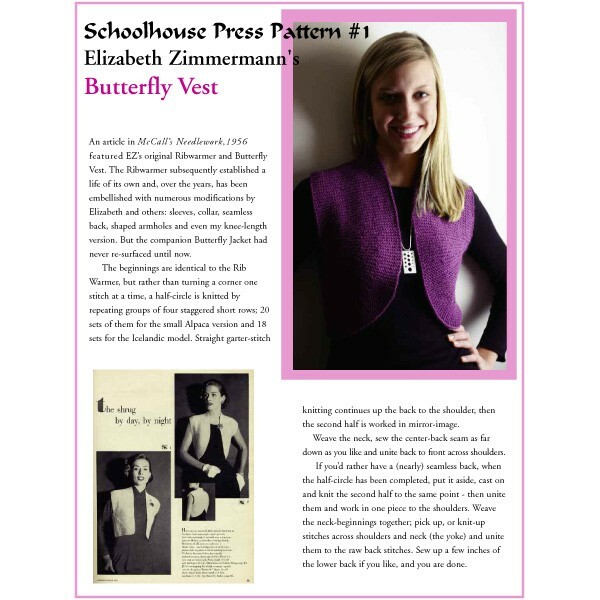 This lovely Elizabeth Zimmermann garment was first published in 1956, yet it is perpetually modern. A quick and easy knit, the pattern features options like a seamless back, reversible Phoney Seam, and a braided selvedge. Includes a sizing chart. In our Ultra Alpaca, or Unspun Icelandic. A perfect accompanyment for any outfit!